After finishing third in The X Factor UK, One Direction proved that they would definitely go places. Well, they obviously did! And as if conquering the world wasn’t already enough, they’re going to capture all more hearts with their new make up line! I was genuinely excited when I was tapped to blog about this – cute boys & makeup? Where do I sign up! 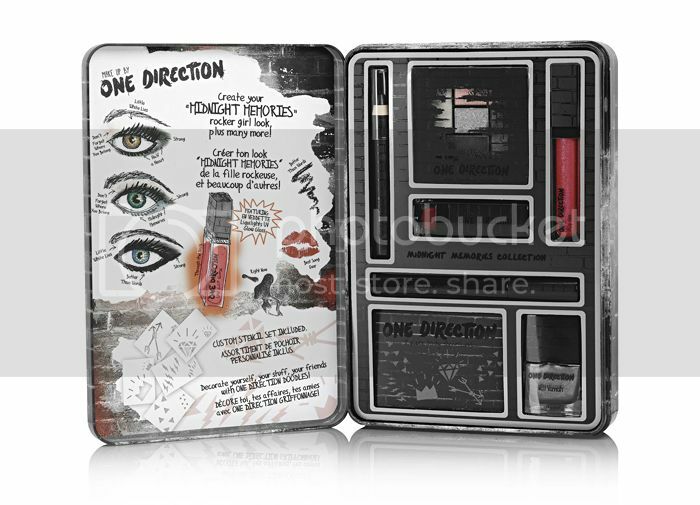 (Lol) But seriously, their new makeup line sounds and looks so promising! Check out Jayne Lim’s review – complete with swooning! 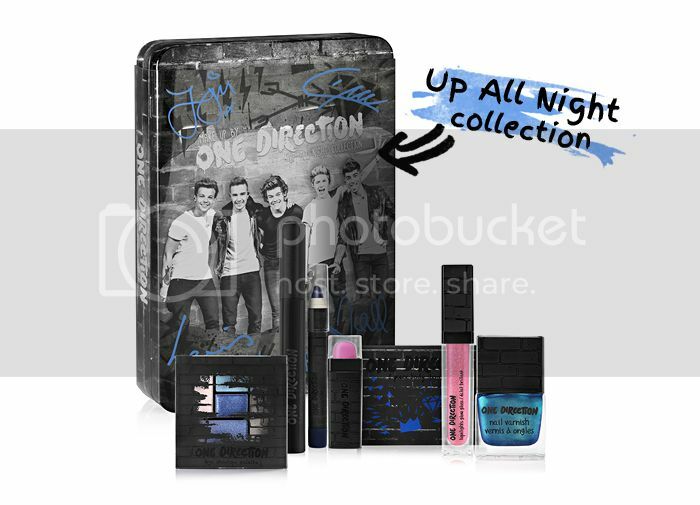 There’s going to be three makeup kits (housed in equally pretty keepsake tins) – “Up All Night”, “Take Me Home”, and “Midnight Memories”. Yep! It’s named after their chart topping albums…and soon to be chart topping beauty must haves? 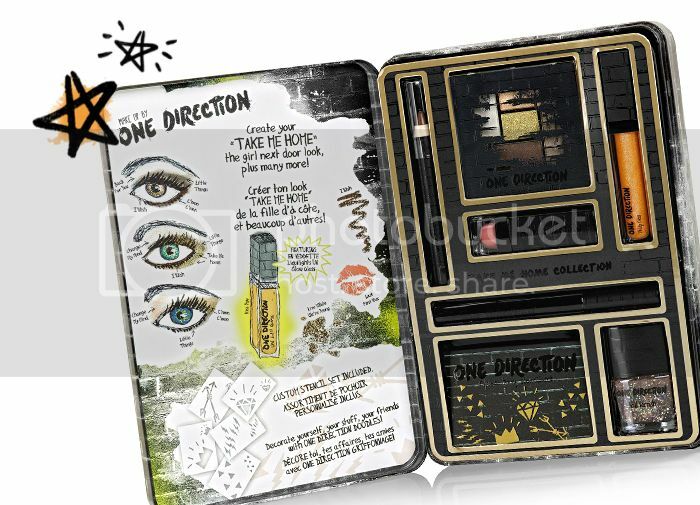 I was expecting each kit to have a few makeup items here and there, you know, a normal merch makeup kit. BUT NO! These guys really made sure their makeup line is as great as they are! Each kit contains a liquilight glow gloss (lip gloss that glows into a certain neon color under UV light aka COOL BEANS YO), an eye shadow palette, a creme lipstick (my future fave! 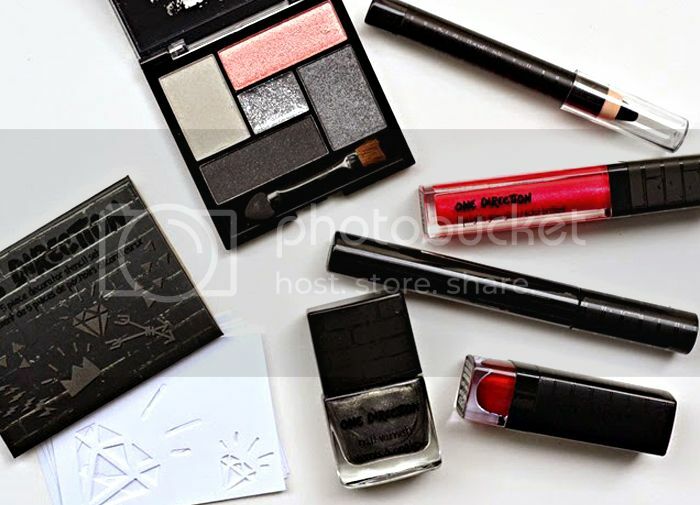 ), a volumizing mascara, a bottle of nail polish, an eyeliner/body crayon, and a stencil set! It’s a treat for both fans AND makeup lovers! Loving the tips and illustrations! For now, we’ll just have to wait patiently…dibs on the liquilight glow gloss and Harry Styles’ heart cool new hat!